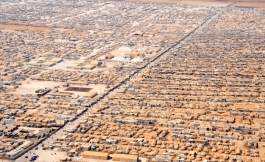 Over 6.5 million people have been displaced internally in Syria. UN High Commissioner for Refugees (UNHCR) Antonio Guterres says the “unconscionable” turmoil plaguing Syria has forced over nine million people from their homes. “It is unconscionable that a humanitarian catastrophe of this scale is unfolding before our eyes with no meaningful progress to stop the bloodshed,” said the UN refugee chief in a statement on Friday. Syrians are expected to soon overtake Afghans as the world’s largest refugee population as over 2.5 million of them currently registered or awaiting registration as refugees in neighboring states, said the UNHCR. According to the UNHCR, the total number of those have fled their homes in Syria has surpassed 40 percent of the country’s pre-crisis population, while children account for at least half of all the displaced. 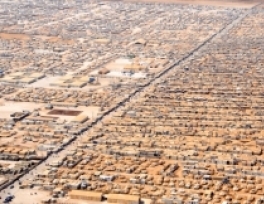 Over 6.5 million people have been displaced internally in Syria. According to the UNHCR, the number of Syrian refugees in Lebanon is nearing one million and it is expected to reach to as many as 1.6 million by the end of 2014. “Lebanon already has the highest per-capita concentration of refugees of any country in recent history,” said the UNHCR. Syria has been the scene of a foreign-backed violence since March 2011. Reports say the deadly turmoil has so far killed more than 130,000 people in the Arab country.